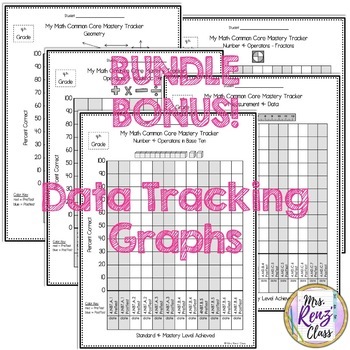 Empower your students to take charge of their learning with this data tracking bundle. 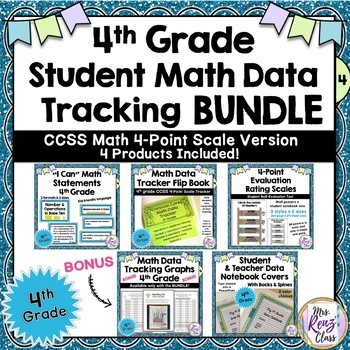 This 4th grade 4-point scale Common Core math data tracking bundled set includes 5 products and 170 pages of materials for students to track their own mastery of the CCSS-M standards. 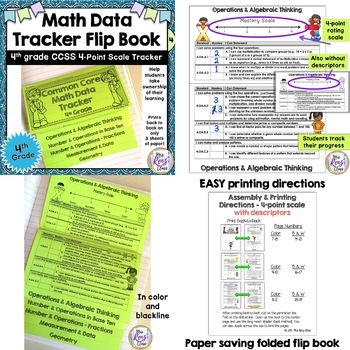 It's got a folded data tracking booklet, data tracking graphs, data binder covers, self evaluation rating scales, I Can statements for all CCSS math standards and more! Here's the 3-point scale version of this data tracking bundled set. Here's the 5-point scale version of this data tracking bundled set. 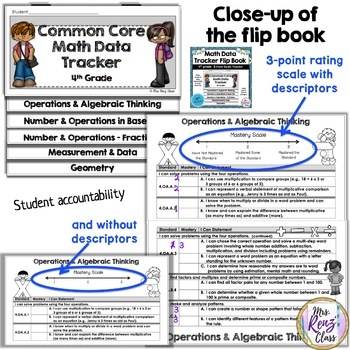 See the visual preview to see each of the components of this great set designed to save you time each day of the school year. Note: This set does not include the assessments; it is designed for you to use your district curriculum assessments. Programs Needed: Adobe Reader (to open the PDFs), MS Word, an unzip program to open the file folder.